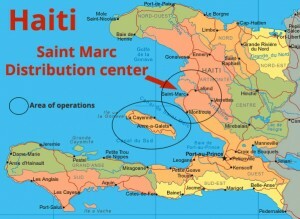 Our main operations are in the Saint Marc area. This is about 60 miles north of Port Au Prince. We started operations here in 2011. Low wages and unemployment: 80% of Haitians are living under the poverty level and 54% are living in abject poverty. The average wage is about $2 a day. The Haitian income is ranked 203⁄227 in the world. Unemployment is estimated at about 67%-90%. Two-thirds of all employed Haitians depend on the agricultural sector, mainly small-scale subsistence farming, for their income. Clean Compassions project of basic business training and assistance with startup costs are the foundation for helping the people become self-sufficient. No access to electricity: It is estimated that 6 million Haitians do not have access to electricity. Those who do have electricity cannot depend on it. 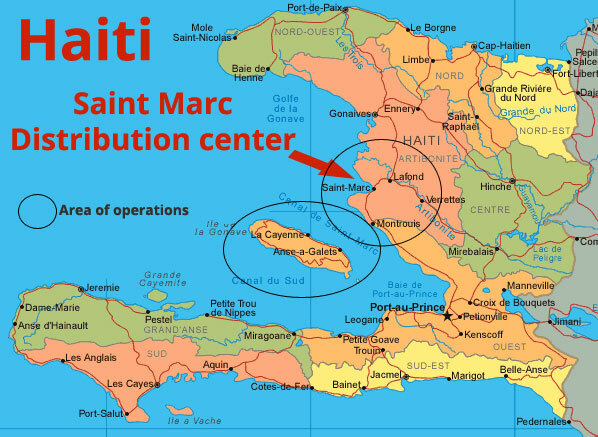 In St Marc, population of 250,000, the electricity is shut off by 7:00 p.m. each night when government offices close for the day. 65% of Haitians do not have access to electricity. With the usage of small Solar generation units – Providing electricity to a home or small business provides 3 to 5 additional hours of productivity. Children can read and study after dark. Please consider donating to help the funding of this project.